A book by William Feaver told the story of a group of miners in the Newcastle area of the UK, who had become a tiny art colony themselves. 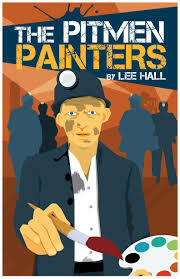 And Lee Hall adapted the true story into this captivating play. These are just average common blokes who work in the pits, as the coal mines were referred to. For a pittance they toiled under ground in 12 hour shifts. It was 1933 and the economy of the UK wasn’t so great. A workers education authority had the idea that even these chaps might be taught to appreciate and understand the arts; and they formed a local class with a tutor brought in who opened their eyes, ears, hearts and minds to a world they never knew nor thought of. The Ashington Group, as it was known, existed from 1934 to 1984, and kept at it, even during the war years when losses were deep. Adam Koplan directs this cast of stellar performers. Sam R. Ross comes on as the wanna-be professor. And the soon to be artists are played to the hilt by Andrew Benator, Allan Edwards, Richard Garner, Clifton Guterman and Brian Kurlander. One neat aspect is that they are all speaking in Geordie accents, which was how the local folks spoke up there, and many still do today. Tess Malis Kincaid appears as Lady Sutherland, who provides a lot of motivation in her desires to enhance her collection of works; and Caitlin Josephine Hargraves provides a different type of motivation as she is ready to model in a manner these pitmen hadn’t anticipated. In real life, as in this play, these men delve deeply into themselves and wind up creating works that actually went to an exhibition in London and was well received. Although when things started out they were all totally clueless as to famous artists, genres, etc. OK. You saw the film and/or the show before; maybe several times. But, you may want to grab tickets NOW to see this touring production which is part of the Fifth Third Bank’s Broadway in America series. 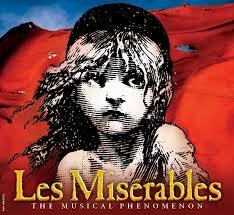 The play, derived from Victor Hugo’s book has been playing around the world now for 35 years, and hasn’t lost a thing. In light of the inhumanities and devastation that we see on the news each day, it may still be quite relevant in so many ways. This is the most incredible touring production which has come to town in many a year. The sets, lighting, projections and costumes are top of the line. And the voices of the leads in the show are all really exciting. Nick Cartell is the good guy, Jean Valjean, which the nasty guy, Javert is played by Josh Davis. Paige Smallwood is Eponine and poor grown up Cosette is Jillian Butler. There is not a single scene which is not brought to life in a true Broadway manner. The life story of a young woman who is raising a developmentally delayed child and what she has to go through in her life, is presented by Clarinda Ross in the play which she, herself, penned based upon her own journey through life. 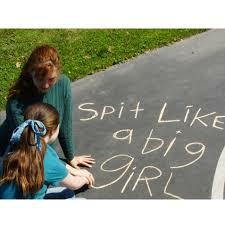 The title itself is derived from how one teaches a tot to brush her teeth and then expectorate. For it is repetition that helps such a youngster to get the concept. Angelica Spence appears with her in various scenes as they work their way through a life experience that nobody ever anticipates nor would necessarily welcome. But, much of this is from her late father, in real life, who left many pages of thoughts as to child rearing and dealing with life; and it was after the special needs daughter, Clara, had moved into a group living facility that Clarinda started to bring this all to stage. While the play first hit the boards a decade ago, it is as timely today as ever. For most of us who haven’t gone through the love and angst that she has, would be somewhat clueless as how to handle things. Directed by David Thomas, it was a very entrancing and well presented life story. This production by our local French language theatre group is being staged at 7 Stages in Little Five Points. 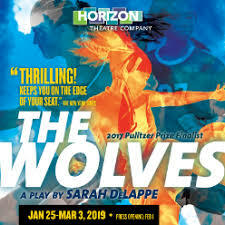 It was penned by Carolyn Cook, the producing artistic director of this group and she also takes the stage as one of the two players. Obviously a lot of research was done into the history of France in the late 1700’s, and Alexander Dumas and what was going on during the days of the French Revolution. Carolyn Cook first appears as Sandrine Achard, a lawyer who was sent to try to help Dumas who was being held in a prison in Napoli after the French Fiasco in Egypt. Dumas had been born free in France, wound up as a slave, wound up becoming a soldier and then a general in the French army, and a member of the French nobility. He was somebody who had seen more, done more, and knew more than most of his countrymen. For in 1799 when the saga starts, the Revolution had not come about and nobody was running to the barricades. But, there was plenty of talk about the desire of common folk for equality, legality, and friendship. Dumas had witnessed the deficiency of all these desires. Thandiwe Thomas DeShazor delves deeply into the character of Dumas as he is on stage throughout the story. Code Noir was decreed by Louis XIV in 1685 and had harsh rules relating to slaves in the colonies. While the French had abolished slavery, Napoleon revoked that rule and it was finally abolished in 1848. Interesting in that it preceded the Emancipation Proclamation which was went into effect in 1863 in this nation where allegedly all men were created equal. And if you believe all that, then I have a toll bridge I would like to sell you. Dumas was a black man, yet a hero and one who sought fairness in all ways. He lives on these days in this nation as well as elsewhere. 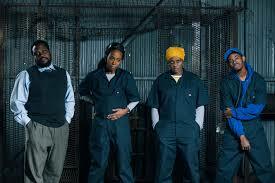 This show during Black History month is spot-on for the issues it brings forth. For we may not be a total democracy, when the nation is run like an oligarchy. A young playwright, Benjamin Tindal, was deeply affected by the shooting of Michael Brown in Ferguson, Missouri five years ago. And his award winning work is being staged on the Hertz Stage under the direction of Kent Gash. The stage is set between sides of seating, but the view is pretty much the same from any seat on either side. It is an apartment in which young Tyler Evans (Travis Turner) is living with Davis (Alex Gibson). They are really tight albeit they share so little in their backgrounds. Davis is a gay comic character, while Tyler is not. Tyler is a black gent, while Davis is white. 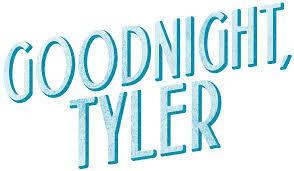 Tyler is out with his girl friend, Chelsea (Alexandra Ficken) one night when everything which could be misconstrued and go wrong, does so; and Tyler is brought down by a white cop. And this is where the tale begins. For one may be dead but not gone from our thoughts and visions, be it a day or a decade. Tyler shows up as a vision to Davis and they start to work through so much. Are they a couple, how does Chelsea fit in, what about grandma Fannie (Andrea Frye) and what does she deem acceptable? The other couple in the show are Drew (Chris Harding) and a tough gal, Shana (Danielle Deadwyler) who also delivers some humor, angst and thoughts. The problems of racial profiling persist to this day and you can read of somebody who gets shot like Tyler in Atlanta, Chicago, Los Angeles or some small town. There are areas in our town where some folks of either racial description may feel il at ease walking about in the night; and they are right to feel so. This is a show that draws you in and makes you think; and one thing you may think about is how we each may work to eliminate such terrible activities. This is a high energy production with plenty of yelling and even a gun shot in Act II. But it is one you should pay attention to. It is not for the MAGA or Klan crowd, but for reasonable folks. This work by Sarah DeLappe has been nominated for quite a few awards and has played in quite a few highly regarded venues. It is a tale of a group of female teenage students who are members of their high school team. Although they are a team, they are also individuals and going through their mental and physical travels to find themselves. The one act play takes place on an indoor practice field and each comes out to others as they kick around doing their prep for some competition they want to win. The girls don’t have names, as they just use their player numbers shown on their shirts and jackets. But, each has an impression of every other team member. The issues deal with financial concerns, grades, acceptance by people of other race and nationality, and sexual explorations. 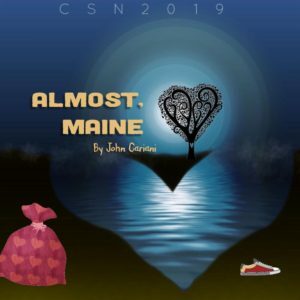 Actor and playwright John Cariani grew up in New England, and when he was a youngster his family moved up to Presque Isle, Maine; a small town way up in the northeast corner of Maine. And when he invented Almost, Maine it was because he wrote of a little village that never incorporated into a town or city and had no actual government, save the State of Maine. It is almost in Quebec Province. So the almost town was said to be Almost. The play is a series of 9 vignettes of some somewhat strange couples in this almost town. Each role is played by a different actor, so this has a huge cast for such a small stage theatre. When you add in the waitress at the Moose Paddy pub you wind up with 19 in the cast. Julie Taliaferro directed this tale of life in the arctic cold, when many folks sought love in many different ways. It is deemed to all have taken place in just a few minutes of time on a freezing Friday night. It’s interesting that when this was first staged it was 15 years ago in Portland, Maine; which itself is not quite tropical, even though the lobsters are great. Let’s first jump to the bottom line. This presentation by our Atlanta Ballet is enchantingly wonderful. It is good performance, or better than, any ballet you may have seen in London, New York or Moscow. There are fewer than 5 more performances, so I would urge any reader to grab seats now. Herman Severin Løvenskjold created the score for this ballet back around 1832. If you heard it for the first time and did not know of the composer, you would think it was one by Tchaikovsky. But, Tchaikovsky wasn’t born until 1840. Maybe he was influenced by the same spirits. A sylphide is a young sylph, which is basically a forest nymph. And the story is one of love lost, love sought, personal failures and dealing with losses. But, as a ballet there may be no spoken lines, but you get the story spot-on as you watch the performers. Tara Simoncic is a woman who has conducted many symphonies, operas and ballets and been in many venues. She is a guest conductor here for the first time, and hopefully shall return. We stand and yell Bravo to the huge cast and express our thanks to Gennadi Nedvigin for all that he has brought to us. 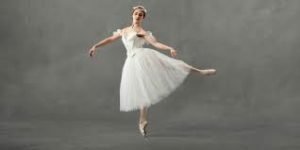 La Sylphide is a constant with the Royal Danish Ballet, and is probably playing somewhere in the world every week. Although it is somewhat “owned” by the Royal Danish Ballet, it is set in Scotland and not only will you see these fair maids in their tutus, but the males are all wearing kilts and sporrans. The Scottish farmer, James (Moisés Martin) is slouched in a chair by the fireplace in a large home. He is visited by a sylph, (Emily Carrico) who really gets his eyes, and more. For he is to be wed on the morrow. Things start to go awry when be is beguiled by this sylph who he thinks at first is a human. Until she vanishes by flying up a chimney. The Sylph is well noted for probably dancing more en pointe in this one that most ballerinas ever have to do. And the action is put forth by a wicked looking Old Madge (Ashley Wegmann) who can read palms, and reminds you of the three witches in Othello boiling up double, double, toil and trouble. Think back to the days of the depression in 2008, and then reflect upon what may be occurring in some areas even in these days of increased employment rates. For back in 1993 when IBM laid off 60,000 employees, the corporate attitude towards workers went through a change. Prior to then employers and employees had a sense of loyalty, each to the other. Companies had a PERSONNEL department. But since then they have reformed to HUMAN RESOURCES departments. Inasmuch as employees are now thought of like office furniture. If you don’t need it, get rid of it. If you need another one down the road just go get one. And so Dominique Morisseau penned this work about some workers in Detroit on the auto lines. Jamil Jude directed the cast of four who we see from time to time in their break room at the factory. Dez (Anthony Campbell) is pretty much a street guy from the ‘hood. Shanita (Asia Howard) is a line worker who is pregnant and trying to stay employed as long as possible. Faye (Tonia Jackson) is another line worker who has gone through great losses and is homeless when we meet her. They all know Reggie (Enoch King) who may have started on the line, but has moved on to management; and he is called upon to keep the industrial peons in line, so to speak. Reggie comes to know of some impending shutdowns and is told to be silent. But he has a history and cares about those others, so he is in quite a jam. Each has their problems. Loss of assets, impending birth, violation of a factory security code, and more. The set by Moriah and Isabel Curley-Clay works quite well, and the scenes move easily on a static set. The audience can just imagine what may be going on in some communities, and what the current political quagmire might bring into effect in the coming months. It isn’t one that a big time head honcho would either relate to nor understand. But, for those of us who have worked for a paycheck we get the picture, the story and have concerns for the days to come. There haven’t been very many musical comedies about life in the funeral home industry. 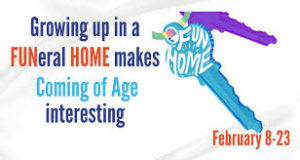 But, Lisa Kron and Jeanie Tesori adapted a novel by Alison Bechdel to create a Fun Home. If we can try to put the FUN back in dysFUNctional, why not in FUNeral Home? The story is about moving through life and sexual development and attractions. Things may not always be what they think. Inasmuch as the show does deal with some homosexual experimental encounters, it may not be for the youngsters nor Ms. Prim. But with some great Tony Award winning score, this cast of nine players work through 16 captivating numbers in one act about 90 minutes long. The time changes are easy to relate to, each of the characters is very well played, and this is a very entertaining show at an easy to get to location with free parking.